RFPMatch.com connects the dots between education funding and how to sell, market, and develop solutions for schools. Our RFPMatch OnDemand service acts as your just-in-time virtual assistant, providing access to All Things Funding for individuals, companies, and organizations. MORE FUNDING. MORE CLIENTS. MORE SALES. Are you leveraging funding as part of your marketing strategy to capture more leads? Have you captured your desired ROI in the K-12 market? If you have these questions, RFPMatch.com is your answer. Think of RFPMatch.com as All Things Funding. 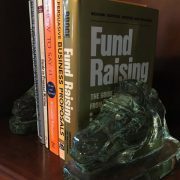 RFPMatch.com works with K-12 solution providers to connect the funding dots that give you a competitive edge you won’t find anywhere else. Your company can no longer count on schools districts to find creative solutions to funding challenges. RFPMatch.com provides you with the funding intelligence you need in order to be able to guide schools to find purchasing solutions to procure your products and services. Our experienced funding specialists and industry experts produce the most actionable intelligence on funding, providing you with matched funding opportunities and a competitive advantage. Imagine a service that understands the challenges of the K-12 market well enough to provide you with timely, vetted, and precisely-aligned funding insights, grant opportunities, and actionable recommendations. This is RFPMatch.com.